Personally I started from scratch, for the past 6 years I've worked in accounting and it was a big leap out of my comfort zone the begin focusing on a fashion blog. But after reading Lindsey's How To Start Blogging guide, my apprehensive mindset quickly shifted to excitement! She very clearly walks you through the steps of creating, branding & monetizing your blog. Since I purchased the blog guide, I've been much more aware of my social media presence and honed in on a specific audience. 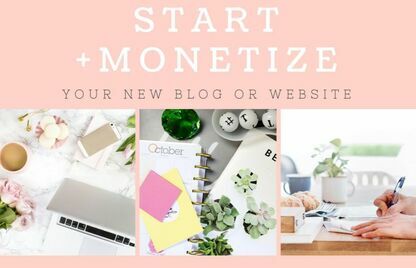 I highly recommend her guide for anyone starting out or struggling in the blogging world.